Hello to all our subscribers and visitors! Welcome to our new blog which will keep you updated on life at MAD Scientist Yarns. We've not long completed our first month in business and it's all going well so far, so we wanted to say a special thank to you all for your support and purchases. As you'll know from our About Us page, one of the primary drivers for our business was creating a way to donate to designated charities on a regular basis, with Rainbow Trust being the first that we picked. We're really pleased to be able to say that we raised £518 from our first month! As this month is Breast Cancer Awareness we are taking part in the Raffles being run by @treasure_chest_ygc on Instagram. Each Sunday from 00:00 BST to 23:45 BST there is a 1 day raffle where tickets are sold via the justgiving account for a chance to win 1 of several prizes that have been donated. During October there is a raffle every Sunday and a ticket only costs £1, but you can buy as many as you want. 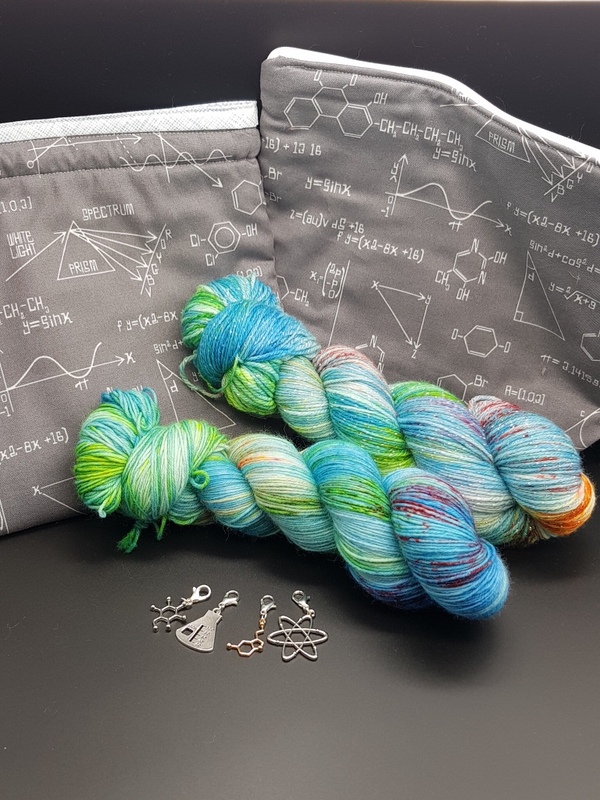 We donated a Grey Zippered Project Bag, Set of Stitch Markers and a skein of Bonkers Biologist on our Stellar base for the first raffle. So if you want a chance to win one of the prizes please see @treasure_chest_ygc for a list of prizes and donate via the following page being sure to state raffle 1 and your Instagram Id or tick to share your email address. We signed up to be part of the badger sett, which is organised by Sam Draws Things to fundraise for the UK's badgers. Vaccination rather then culling is clearly the best way to control bovine tuberculosis (bTB), not only for humane reasons but the cost of vaccinating a badger is only £200 compared to £1100 for trapping and killing a single badger! Despite those facts, the UK government has recently increased badger culling by 70%, which will result in a further 9500 badgers being needlessly killed. 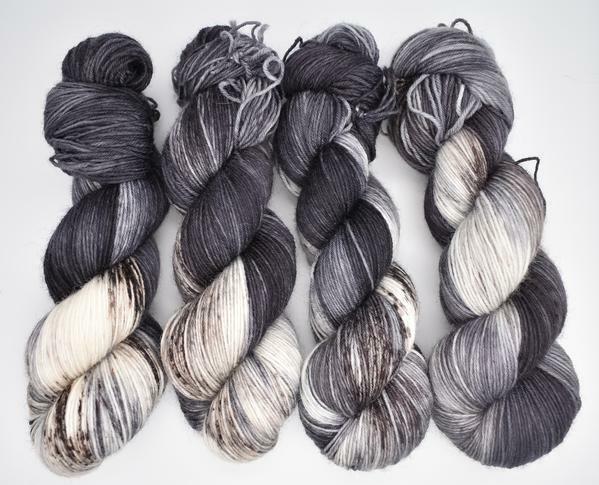 We have designed a badger colourway called ‘Trufflehunter’ which will be available to pre-order from 8pm BST tonight on various bases, from which we will donate £5.00 per skein. We hope that this will not only help this brilliant initiative financially, but will also to draw attention to this ongoing travesty. At the same time we will also be adding a few skeins of ‘Chaos Theory’ and a darker version of ‘Seaside Dreams’ called ‘Pacific Dreams’ to the site on our Fusion base.